This is the newly upgraded controller board.Up to 16 servo motors can be controlled at the same time, either by using a software on a PC, or UART communication ( TTL serial port) of MCU (51, AVR, ARM, FPGA, PIC, etc.) to send commands to control the steering. We can also download instructions to the servo motor controller for offline operation.Software (in English) is sent via email after purchase. Control channels: 16. (can be controlled at the same time and the accuracy can be adjusted). Communication Input: USB or UART (TTL or USART). 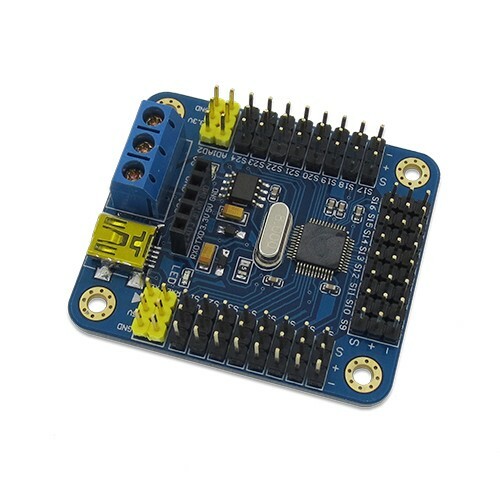 (The Bluetooth or some other wireless module can be used to make the controlling). 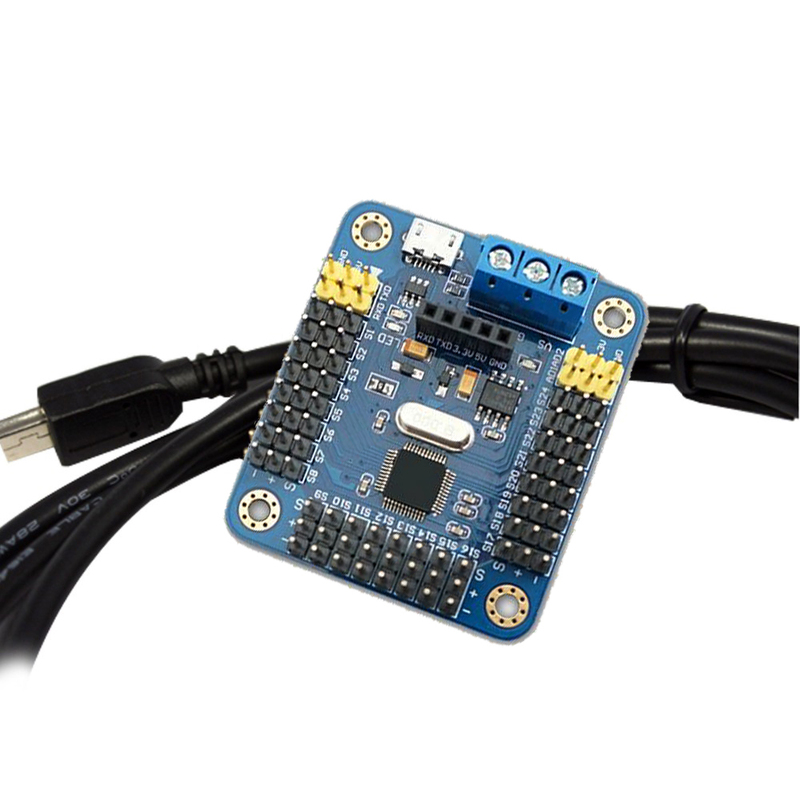 Control mode: USB and UART (TTL) to accept command. (Comes with USB data wire and PC controlling software).